Have you ever had to choose a restaurant for a company outing? It’s tricky, you need to find a spot with a broad enough menu for a larger group, reasonable prices, good service but nothing too odd or interesting to keep everyone content. I usually end up with places I like to call “parent-friendly”. MEZ in Durham falls into that category with a convenient location off of I-40 near Quintiles. It serves up “contemporary Mexican” that should keep most people happy. 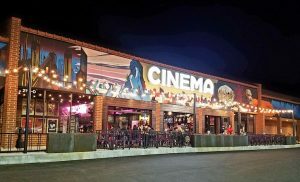 From the outside, MEZ offers up an impressive presence: a large building decked out in stucco and arches, you can’t miss it. Inside the same theme continues with high ceilings, exposed beams and a Southwestern feel to the decor. Modern and clean is the overall take you’ll get at MEZ. I grab a seat at the bar along with a menu for Triangle Restaurant week. It’s a short menu with a couple of options for each of 3-courses for a $15 pre fixe. Pretty simple since I had been stalking the menu: crema elote, pulled pork tacos and dulce de leche cake to finish things off! 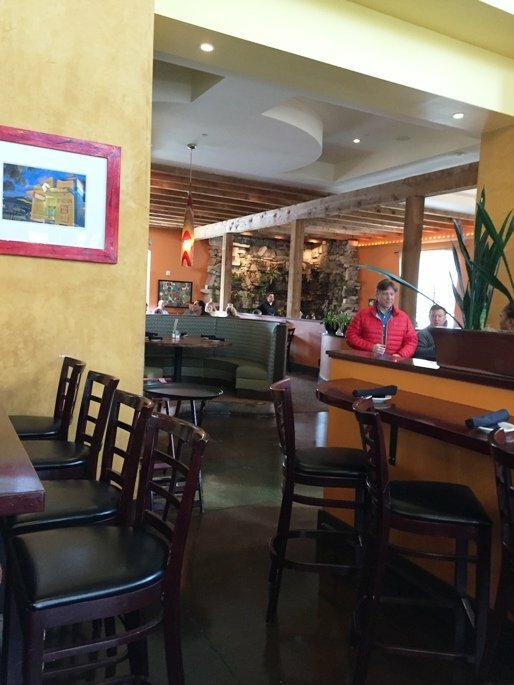 Looking around the dining room, you definitely notice an older and business-like feel to the crowd at MEZ. Mostly 35 to 60 year olds probably from offices in RTP. 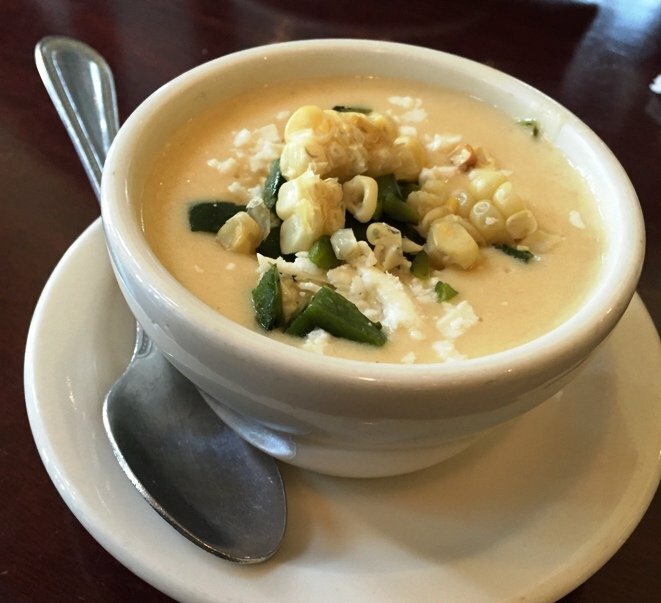 My first course arrives, a thick, creamy corn chowder spiked with chopped green peppers, cut corn and crumbled cheese. It’s dense and quite good sporting a surprising sweetness to it all. Next up is my taco plate and I know I’m in trouble now, way too much food. 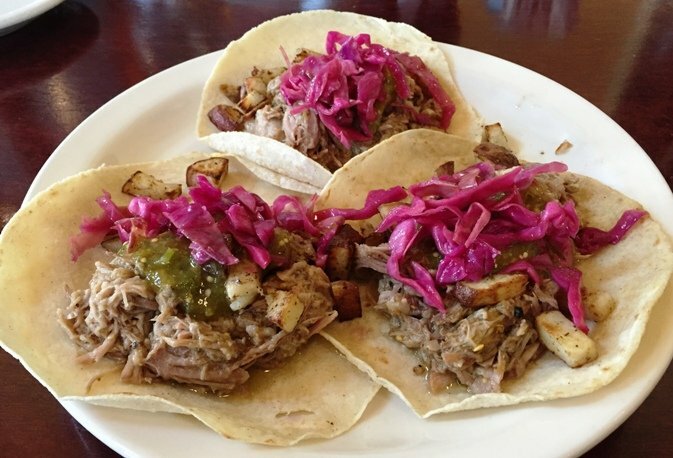 Three large tacos on corn tortillas with a tomatillo sauce, pulled pork, potato cubes and red cabbage on top. The tacos are loaded with meat and unfortunately, all that moisture starts to pull the tortilla apart. Unfortunately even though the taco looks great, it’s light on flavor with a blander pork and the cabbage is braised leaving it with a softer texture. As you can guess, I really didn’t need dessert at this point but it’s Triangle Restaurant Week so on we go! The tres leches cake here at MEZ is humongous. 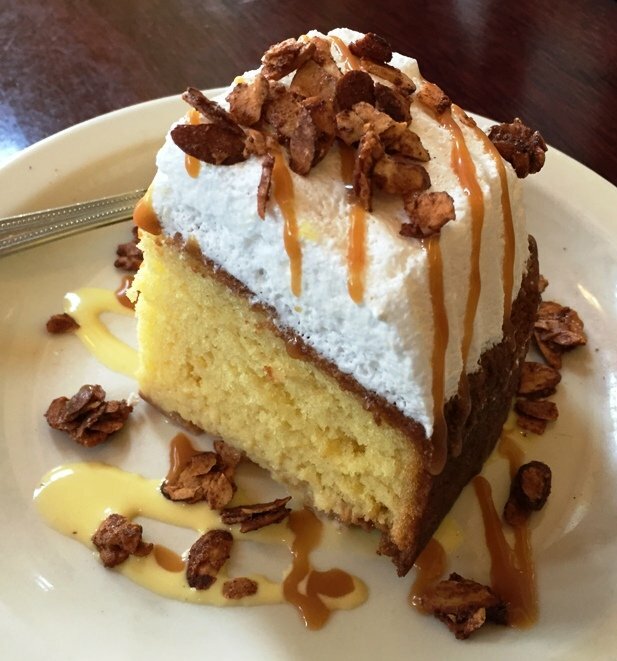 A large slab of fluffy yellow cake with whipped cream and drizzled with dulce de leche. Probably best shared by two but I did my best as a solo diner, good stuff. Service at the bar is fine as well it should be and I certainly left MEZ content and probably way too full. 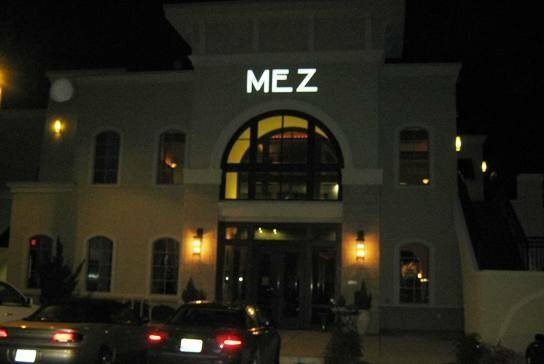 For Triangle Restaurant Week, MEZ did an excellent job. But it falls into the category of pleasant and competent as opposed to causing cravings in your food brain. And that’s why I talk about parent-friendly restaurants. MEZ totally fits that bill, doing everything pretty well but still falling short of being that memorable. If you’re looking for a safe choice, MEZ will totally keep you happy! 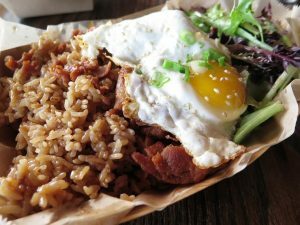 No to troll your review unnecessarily but are you a real food reviewer? I can tell just by looking at your pictures that “some kind of cheese” is actually queso (which I looked up and is written on the menu), the tacos are not topped with jicama (which is white), but rather likely cabbage and the cake is topped with sugared almonds, not oats (which is also on the menu). Hey Jenna, fair comment and appreciated. You’re likely right about the red cabbage, my mistake there and I will correct. The cheese I thought may have been cotija and I might have made a mistake on the almonds but the smaller pieces looked like oats to me. I ate at MEZ during Triangle Restaurant Week and only had a short, slip of paper to work from, not the full menu. 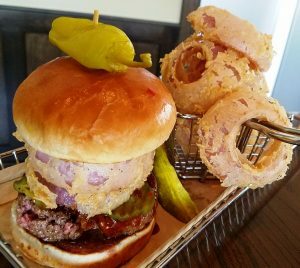 I do the food reviewing as a hobby but have done 1,200 plus on Yelp and my blog so sometimes mistakes are made. But I do my best to accurately reflect what’s on the plate if not perfectly. But will update the post appropriately and thanks for checking out the post!